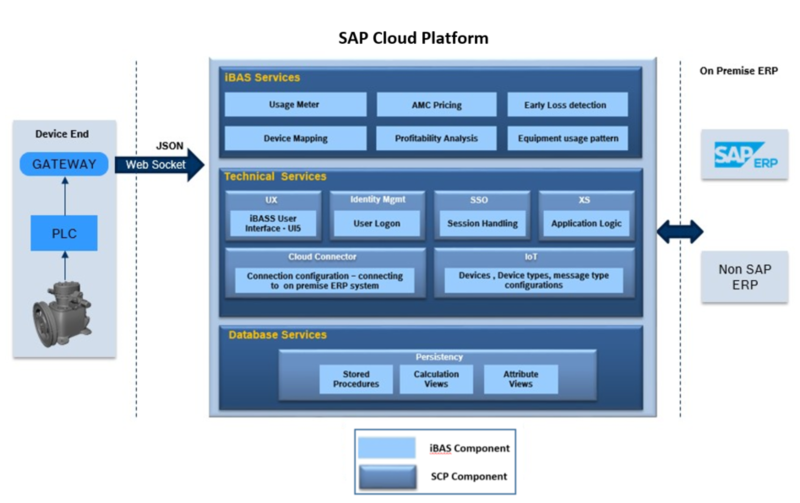 iBAS – IOT based After Sales(iBAS is developed by a SAP Partner in cooperation with SAP Co-Innovation Lab). There is tremendous excitement surrounding IoT (Internet of Things) as the next big wave. Often underestimated, it is the transformation of business processes that is going to be IoT’s game-changer. IoT brings the devices into the “Internet” by providing ubiquitous connectivity and creates an ecosystem of decentralized intelligence. Once this is possible, there is a huge business potential waiting to be unlocked from this ecosystem. In this blog, I will elaborate on a use-case on how IoT can transform “After-Sales” cycle of Equipment manufacturers. Equipment/machine tools manufacturers are not as deeply embedded into their customer’s business as in the case– automotive or components business. They design a complex finished product but the usage patterns and context varies greatly from customer to customer. Take for instance Generators, compressors or cleaning equipment – the environment in which they are operated, the features that are most often used are absolutely hidden from the Original manufacturer. This in turn leads to slow pace of innovation, reactive customer service. iBAS is designed to “connect” equipment throughout the value chain from the end-customer till the Original manufacturer. Every equipment is embedded with a secure IoT-chip that transmits context sensitive data to a platform designed to capture this information. The equipment data thus captured real time (e.g. Pressure, temperature, voltage, humidity etc.) is linked to the ERP data to create valuable insights and transform business processes in a way that was not possible before. For example, The IoT data and the business process (after sales and service) data can be used to analyze the customer usage, service history, equipment health and behavior to create value added services to the customer and the OEM. As in the case of iBAS when IoT is leveraged as an enabler for the entire ecosystem, there are virtually endless possibilities of creating value. For instance, iBAS platform can be used to “sell services and reliability” Or Accurate spares planning or for differentiated service pricing. This solution gave me a real hands on experience and introduced me to IoT world of SAP. Proud that I played a major part in development of this solution.